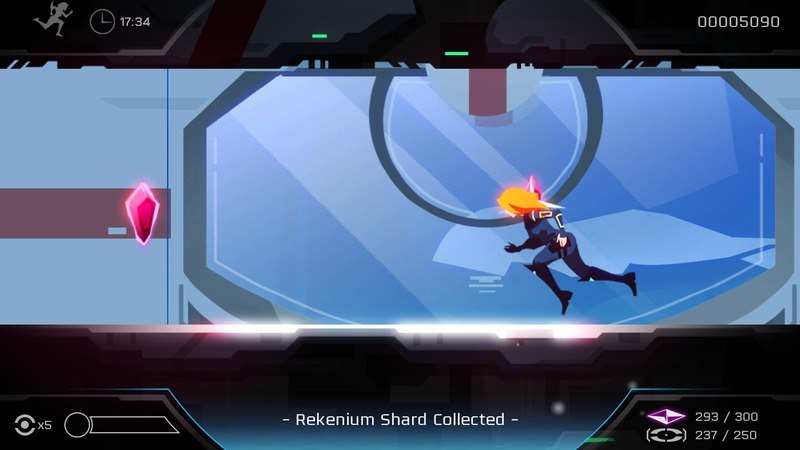 Futurlab created a smash hit when they released Velocity on an unsuspecting, starving PlayStation Minis market. 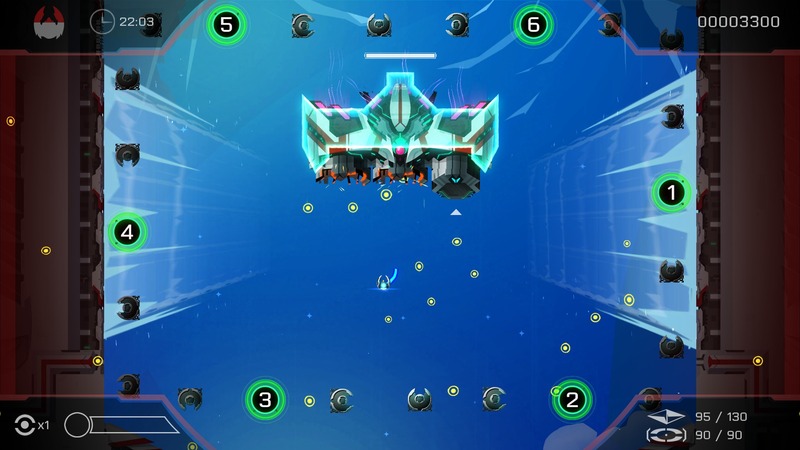 In relatively short time, they waxed it and rereleased it as Vita title Velocity Ultra. 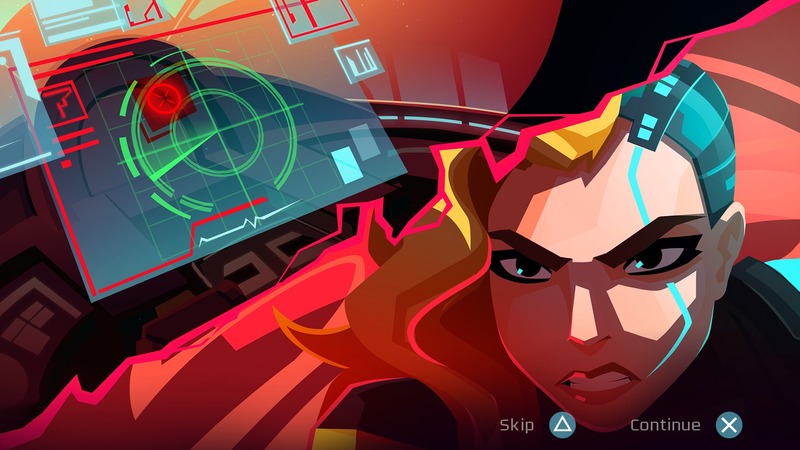 With Velocity 2X, the Brighton-based developers have warped their franchise into the future once again, cropping up on PlayStation 4 and Vita with remarkable panache. 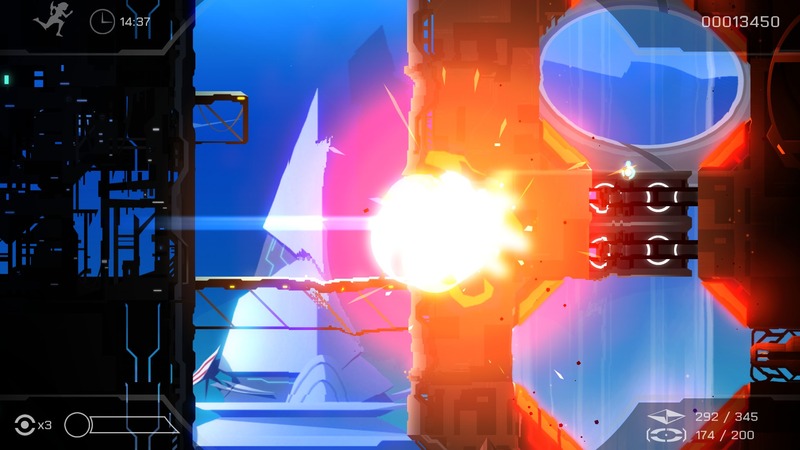 The additions this time around include a full-fledged platforming mechanic, a character-driven storyline, and an enhanced art style that paints the 50+ new levels in a glowing new light. 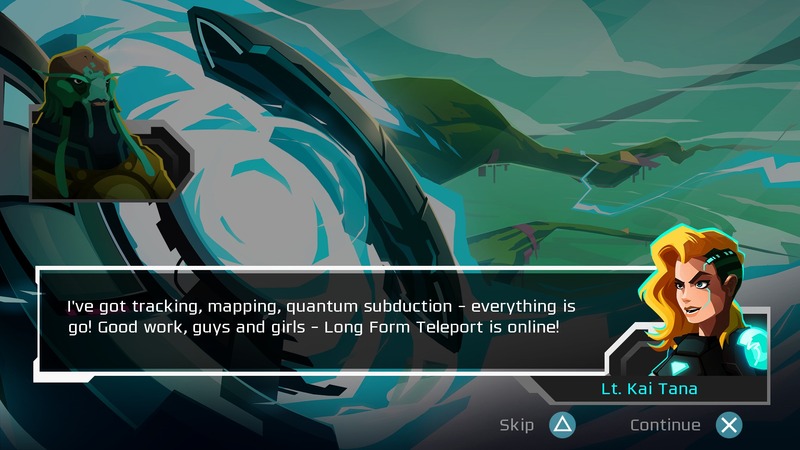 Simply put, Futurlab has done it again. 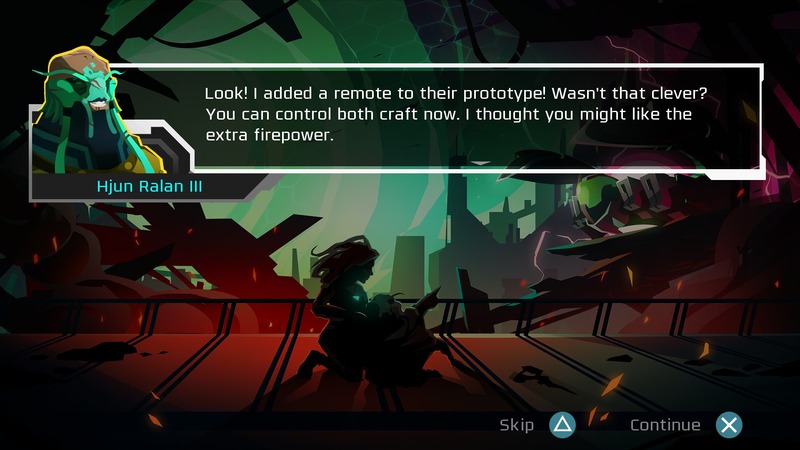 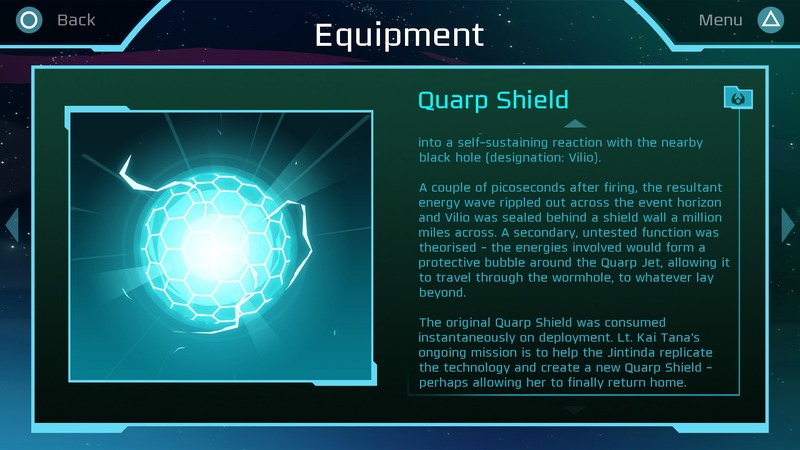 Velocity 2X includes something that the previous games held hidden in optional text documents – a storyline. 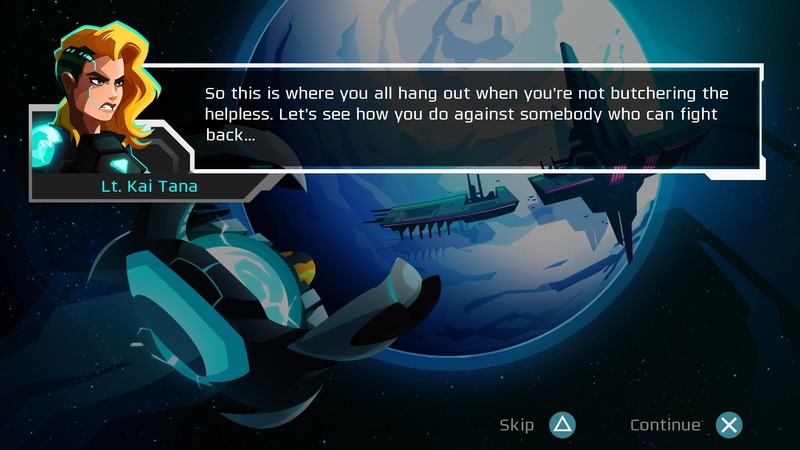 Still-frame dialogue cutscenes precede most levels, offering background information on the settings and characters in the game. 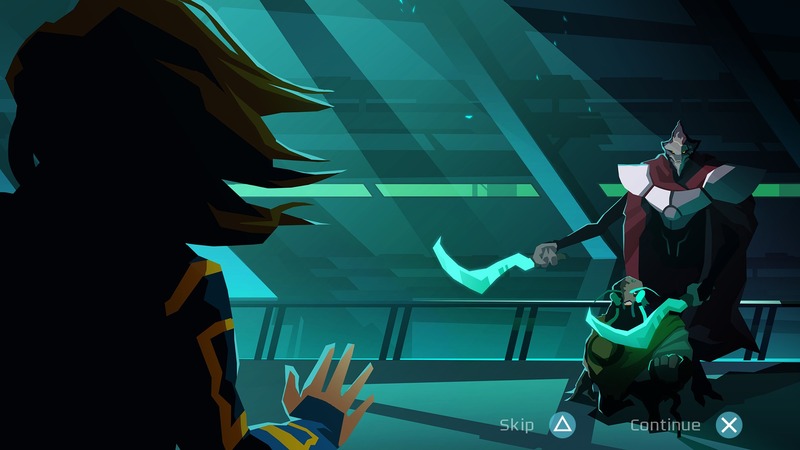 Kai has character now. 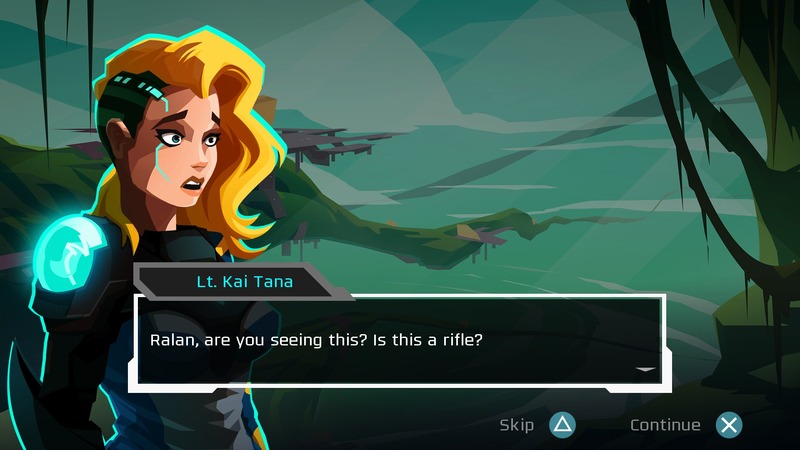 She’s a confident, playfully sassy protagonist with morally charged motivations. 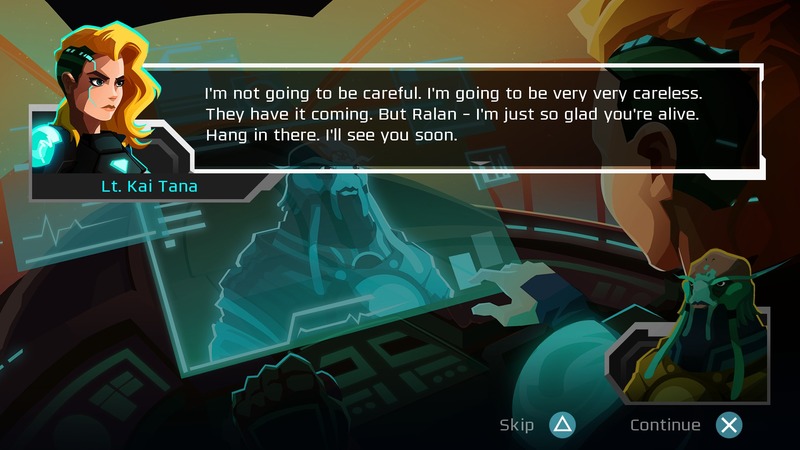 A peek into her diary reveals even more depth into her character. 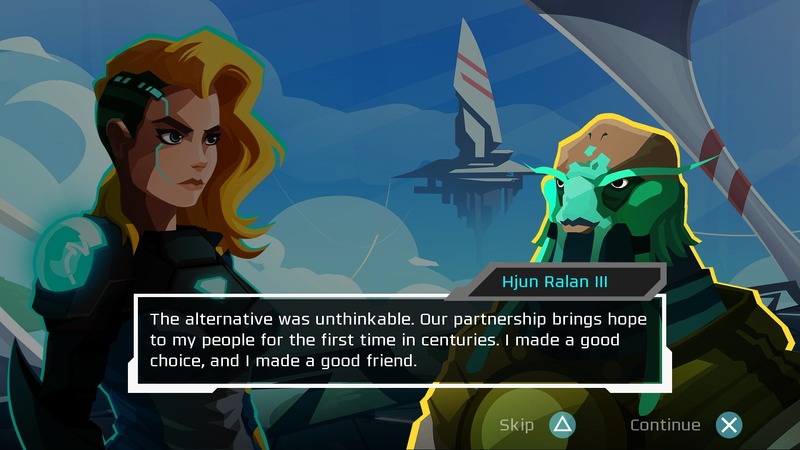 Kai quickly befriends a Jintindan slave, Hjun Ralan III, who aids her in her quest to get home. 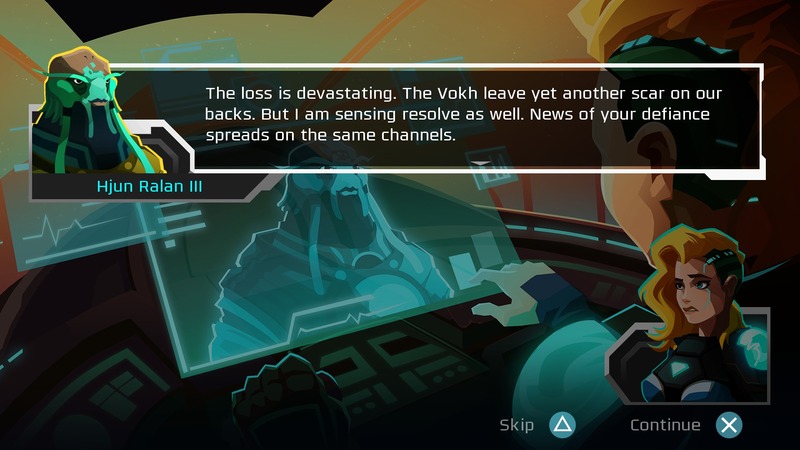 First, though, the two must work together to thwart the villainous Vokh empire, led by General Glaive. 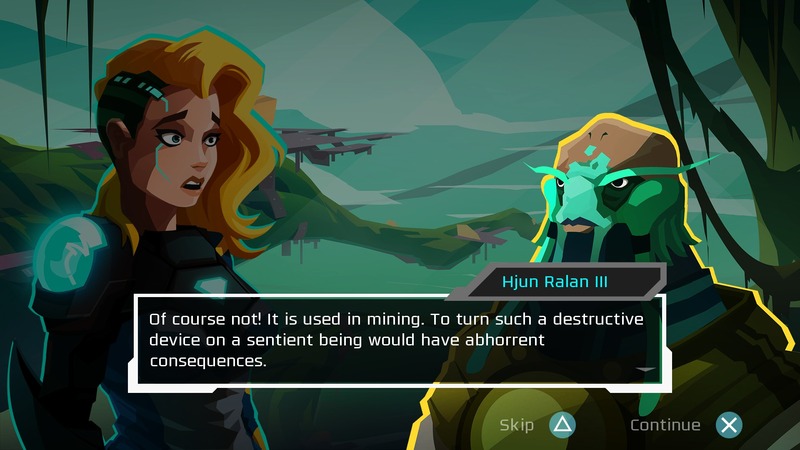 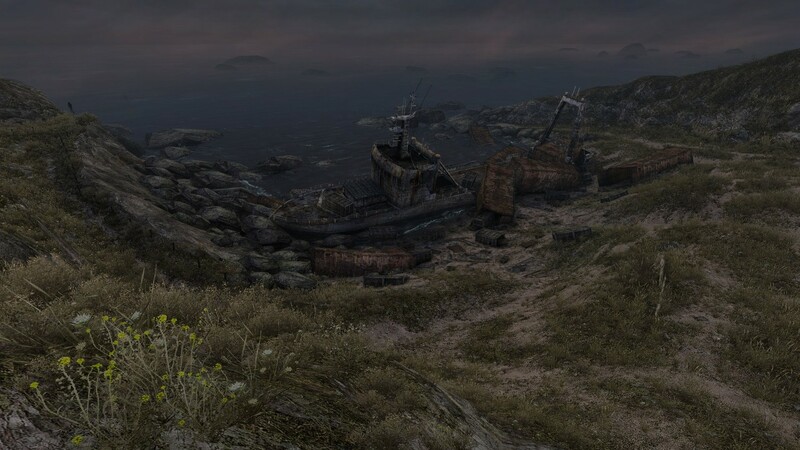 Without spoiling much, the game clearly has the parts to put together an enjoyable tale. 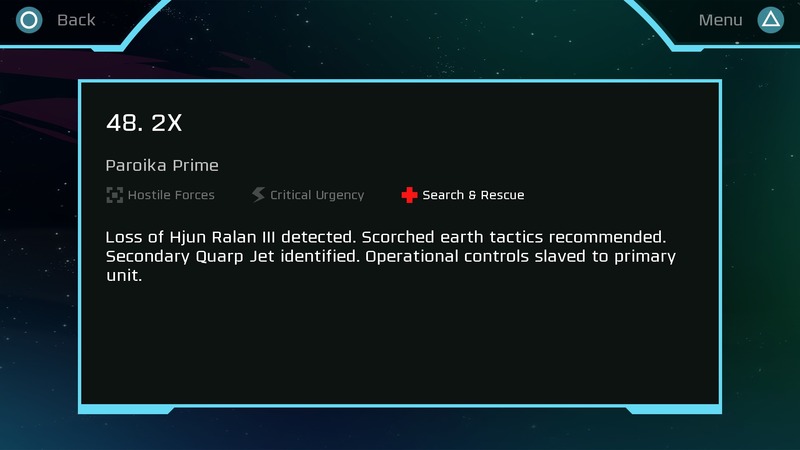 The story elements lend credence to the in-game objectives, notably rescuing survivors and collecting Rekenium. 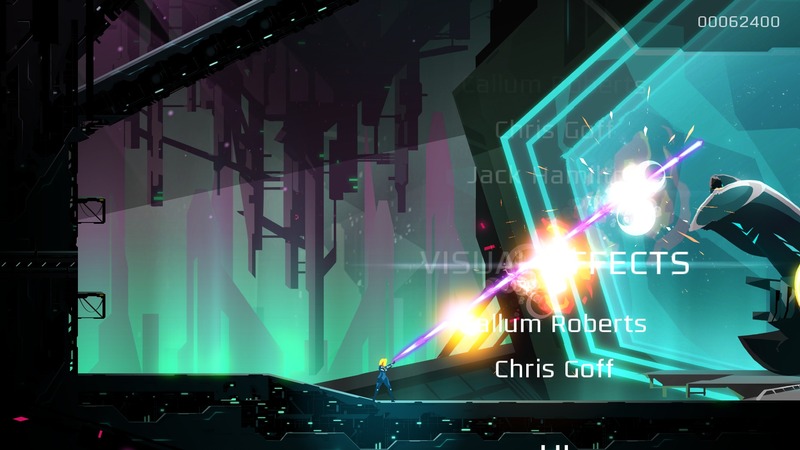 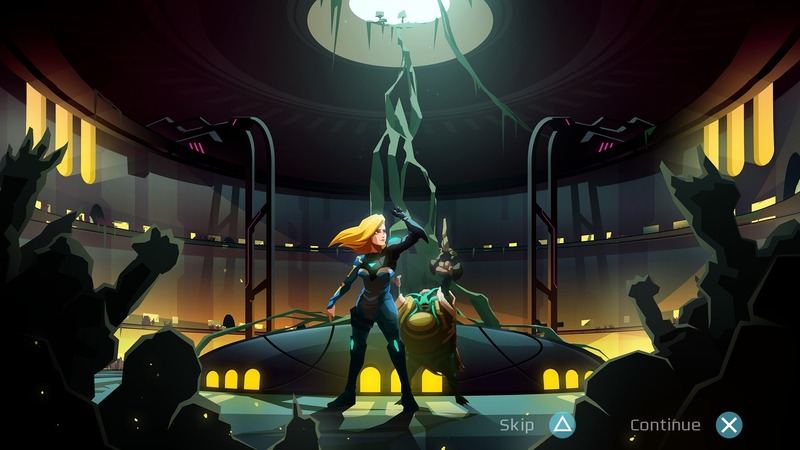 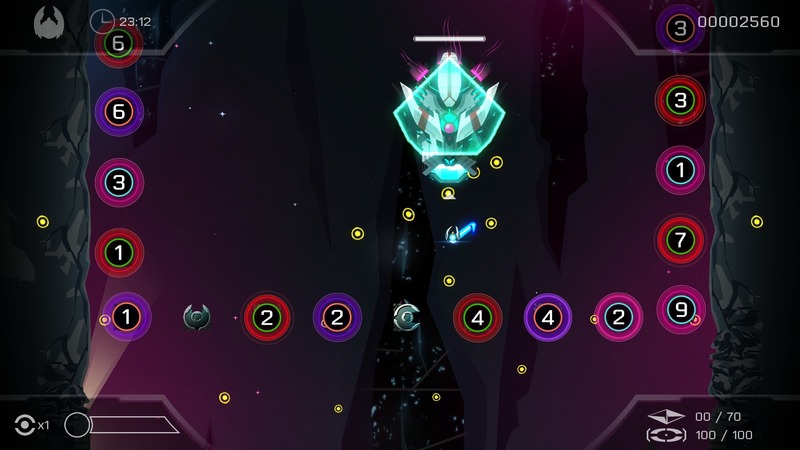 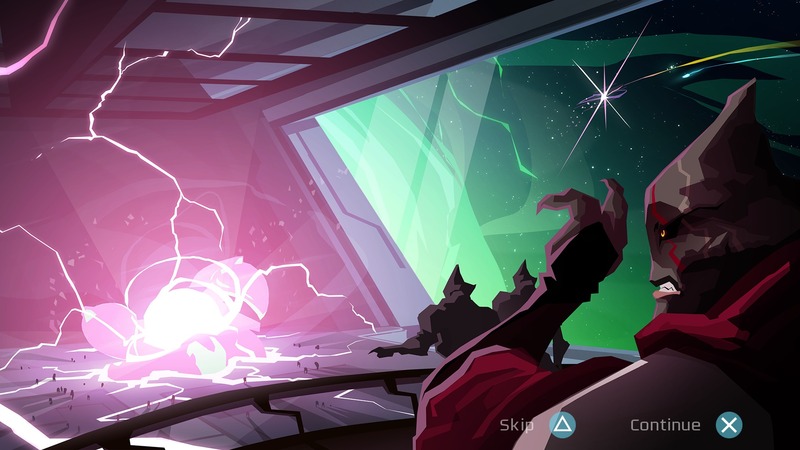 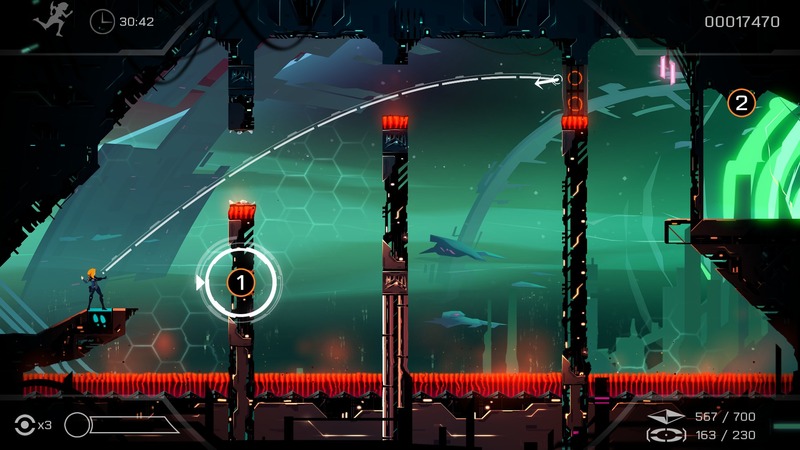 A staple of Velocity 2X is the stellar gameplay. 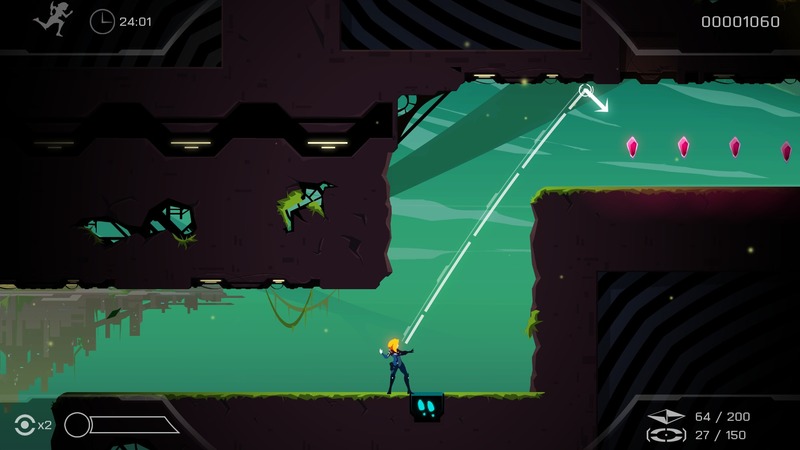 The most robust and radical change in this area is the inclusion of platforming sections. 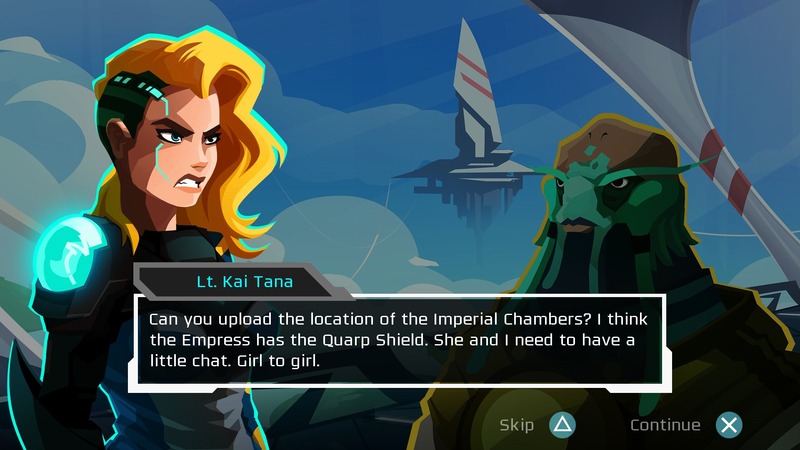 Within these sections, you play as Lt. Kai Tana as opposed to piloting her ship. 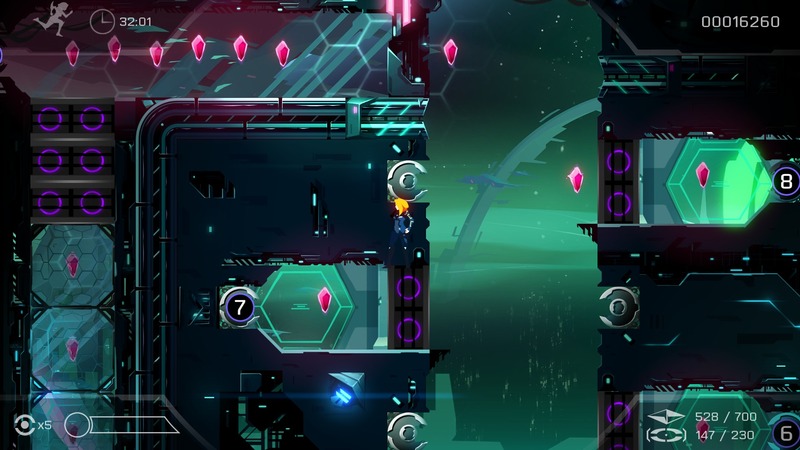 The platforming feels quick and precise, fitting in perfectly with the rest of the game. 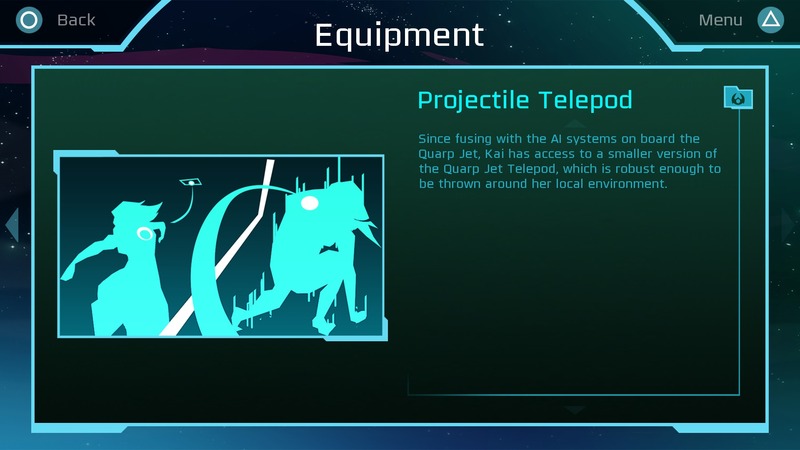 Kai can tele-dash, shoot 360 degrees, and even toss telepods during some later puzzle-driven stages. 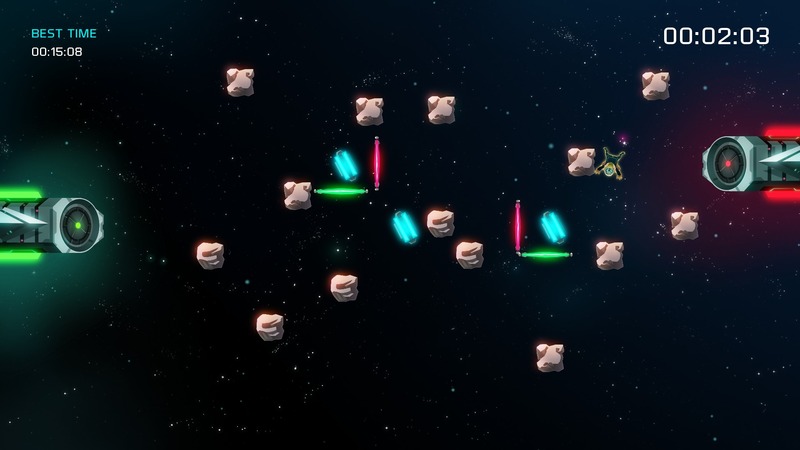 Each stage contains a host of enemies to be dispatched and friendlies to be saved. Also, each stage has recommended scores for up to four different criteria: Time, Rescues, Crystals (Rekenium, to be collected in platforming sections), and Points. 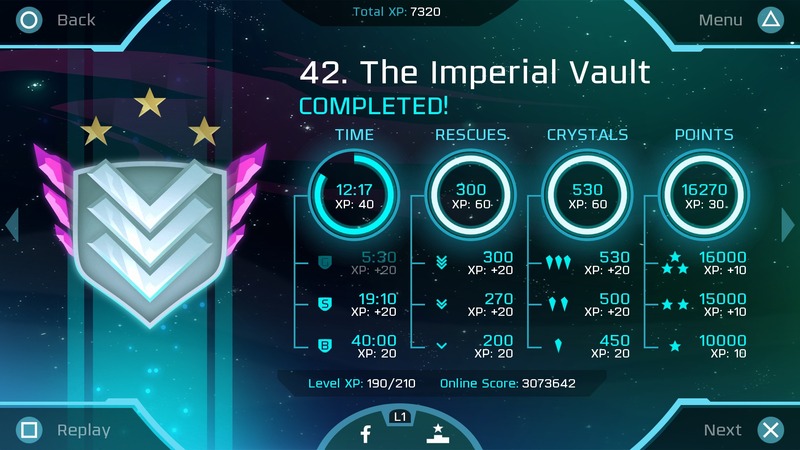 The criteria are broken down even further into bronze, silver, and gold tiers. 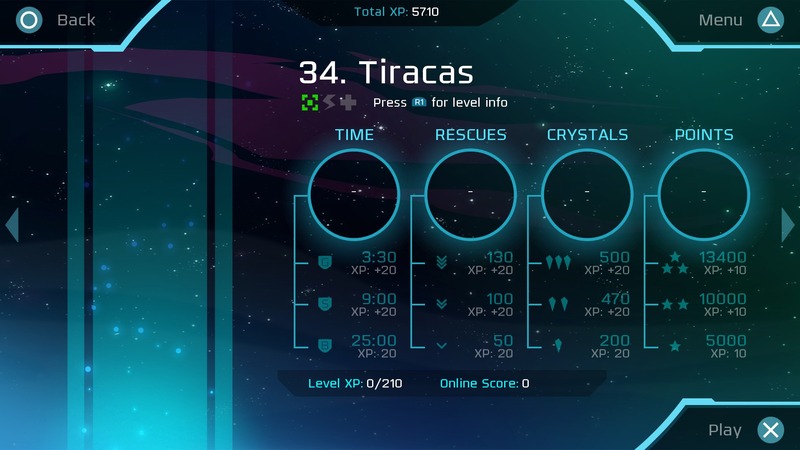 Achieving gold in all stats in one go without dying will net you a perfect for a given stage. 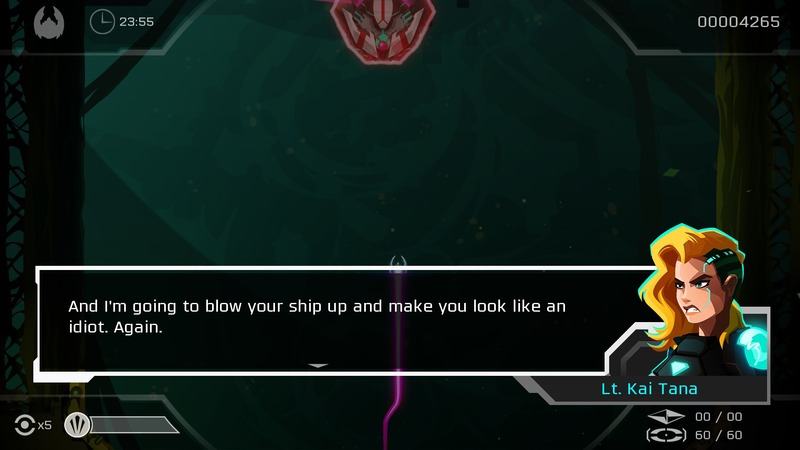 You will want perfects. 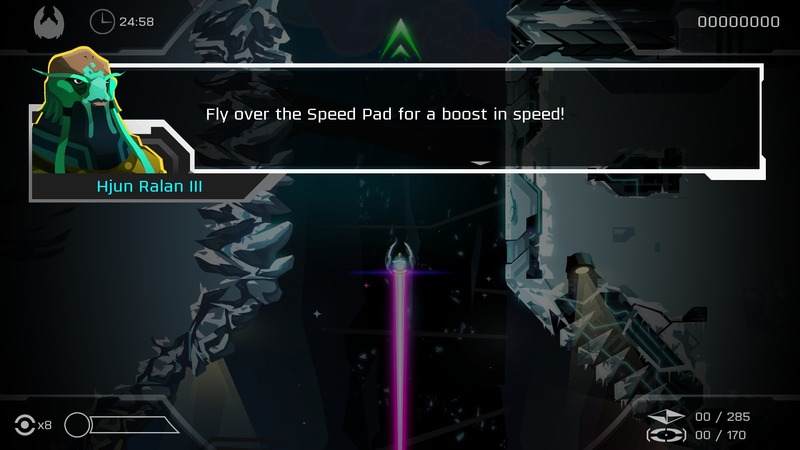 Not surprisingly, once you get a hang of using the R1 button (boost) in tandem with other actions, Velocity 2X gets rather speedy. 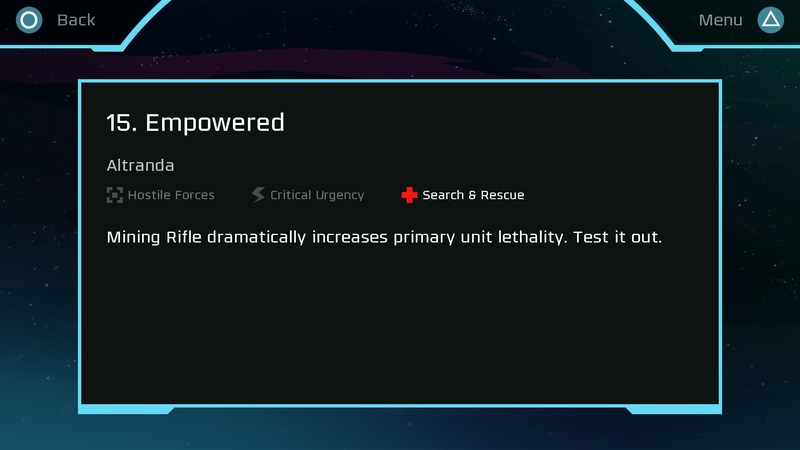 The critical urgency levels require cat-like reflexes and decent level memorization in order to perfect. 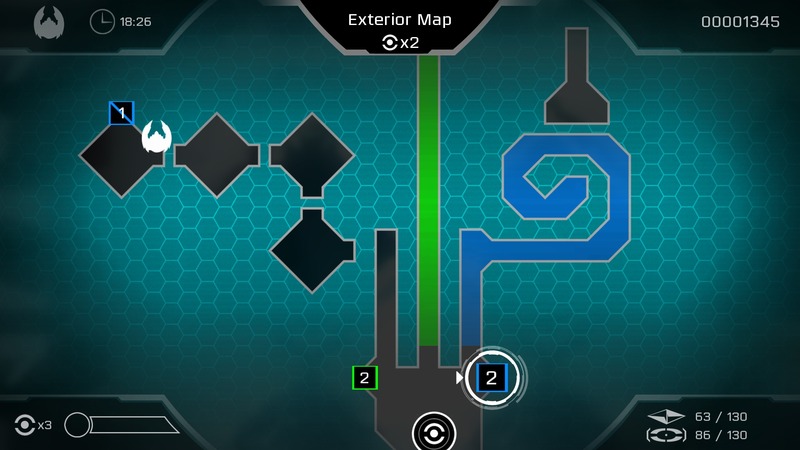 They’re aided by the game’s excellent level design. 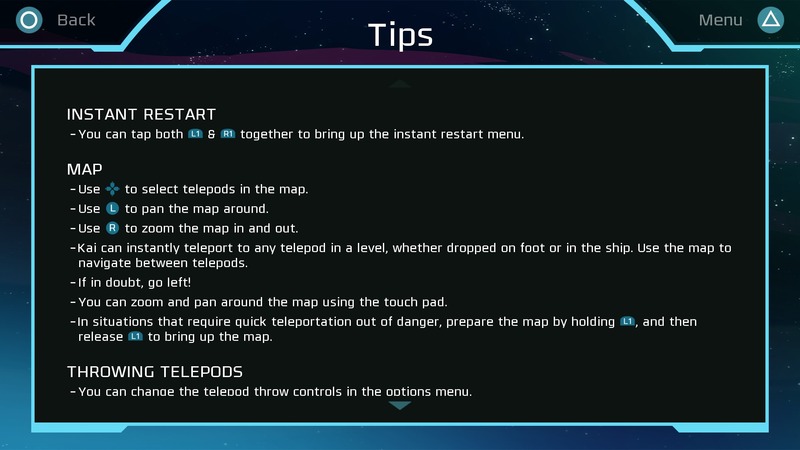 A subtle yet paramount example – While flying, if you have to bear left to dock your ship and begin a platforming section, you’ll be running left at the beginning of that section. 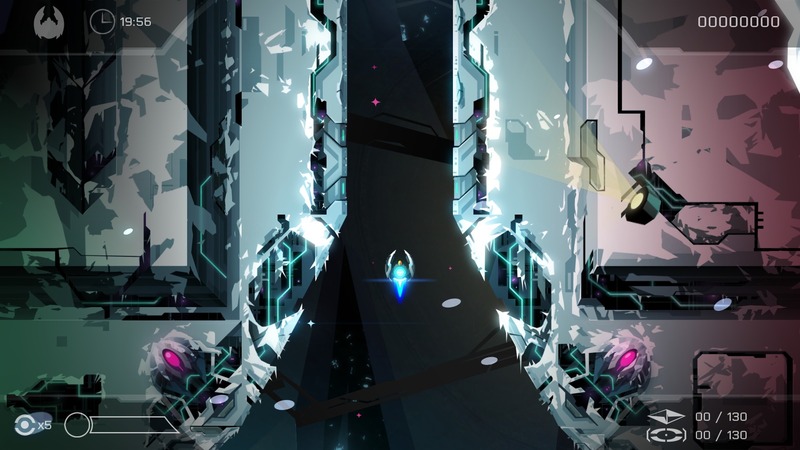 You don’t have to take your fingers off of the left and R1 buttons; you just seamlessly keep sprinting at a breakneck pace. 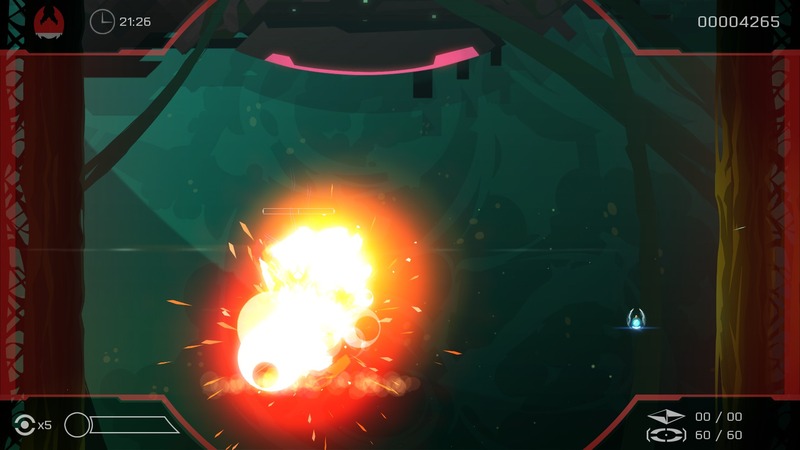 The boss battles get increasingly awesome, with the third one – a combination of in flight and on the ground battling – nearly blowing my mind. 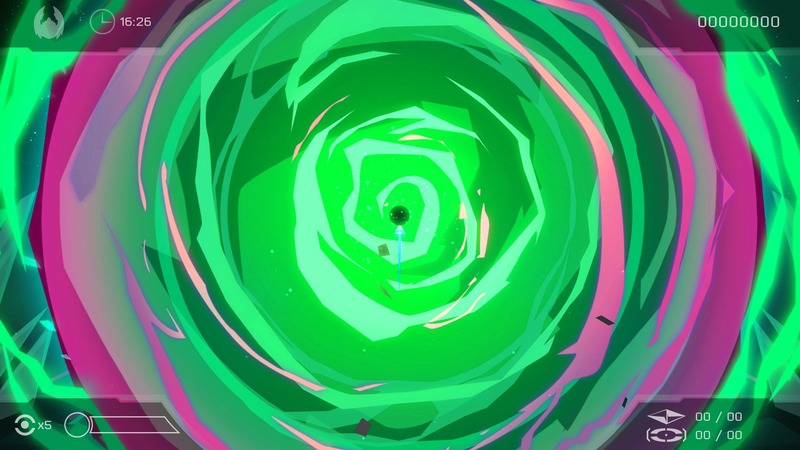 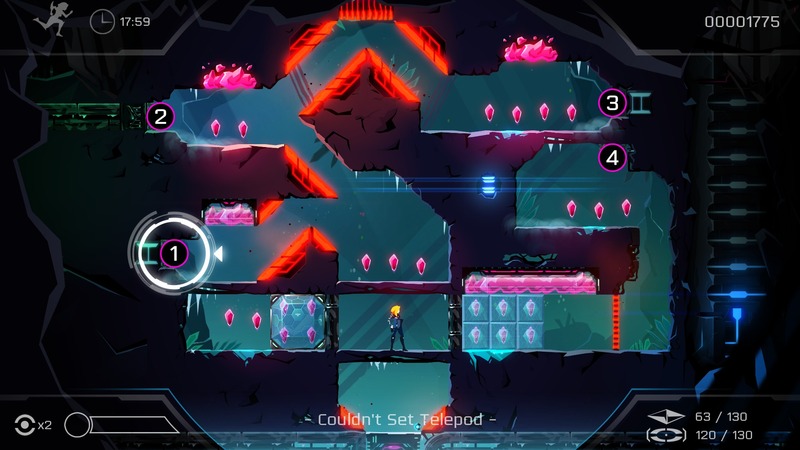 Once Long Form Teleport is unlocked, labyrinthine levels become playable. 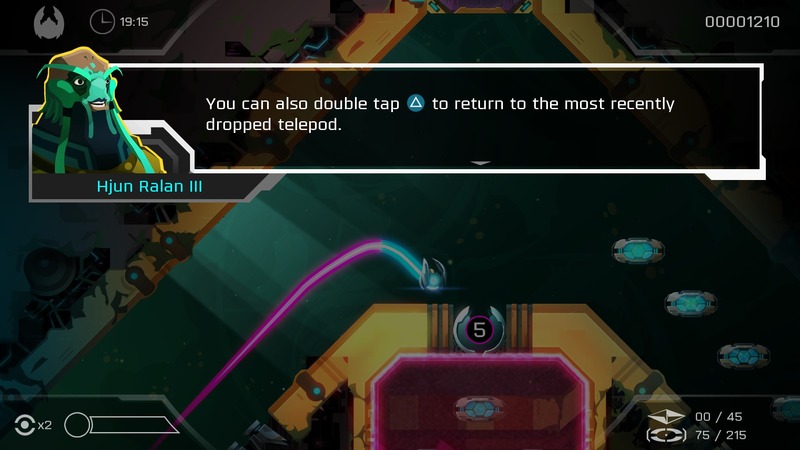 While Short Form Teleport allows you to warp through walls by holding the Square button and moving a cursor, LFT grants you the ability to jump back to an earlier part of a stage, perhaps where it split into two (or more) pathways. 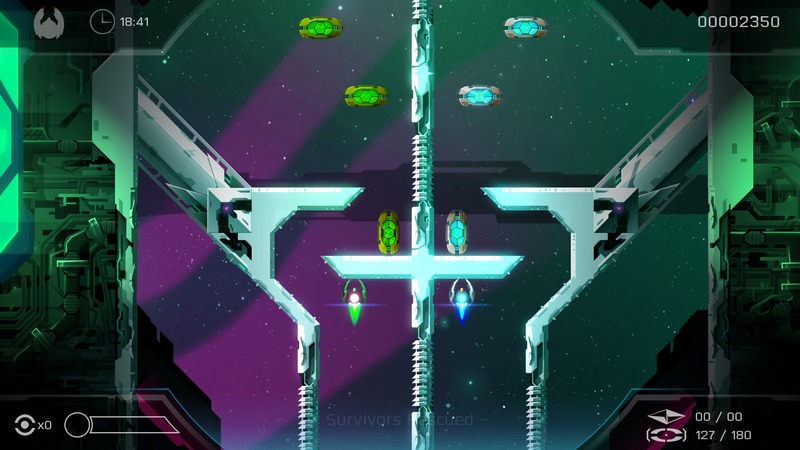 It’s a surprisingly cerebral twist on the typical screen-scrolling style of most shmups. 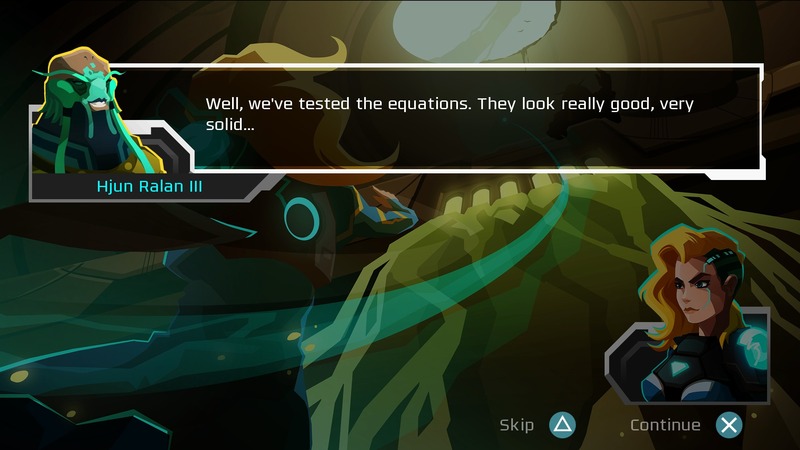 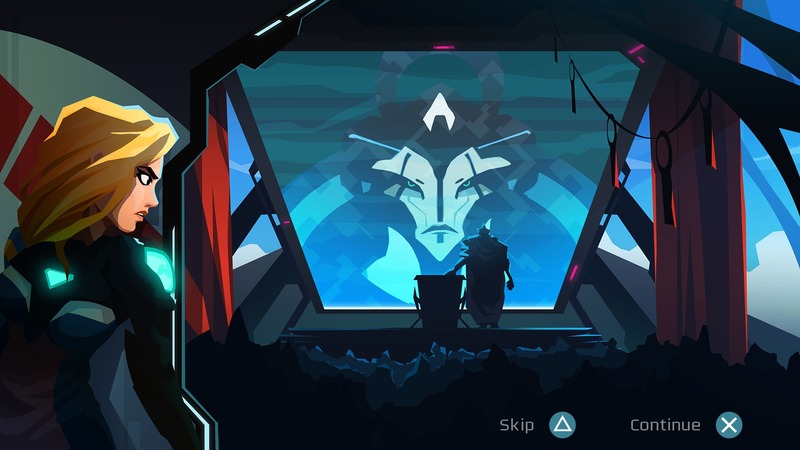 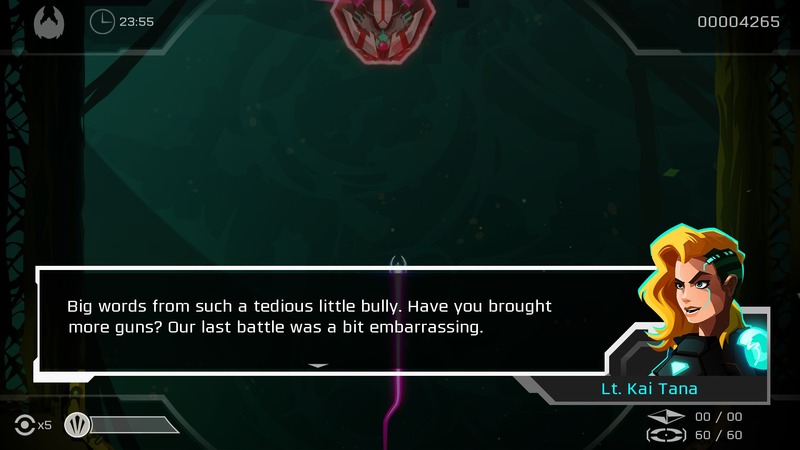 If I had to pick just one of Velocity 2X‘s many superb attributes to laud, it would be the level designs. 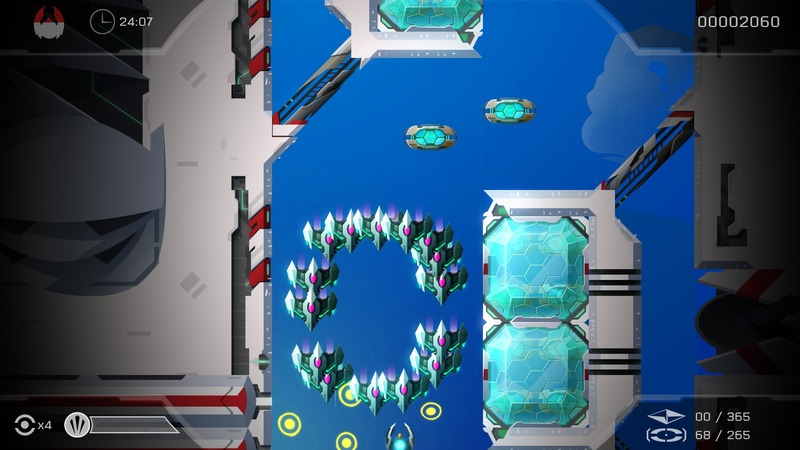 The visual style of the game is updated for newer systems. 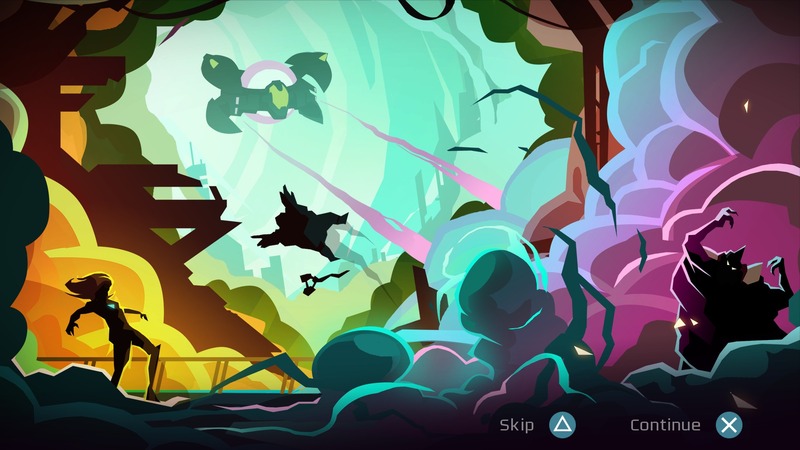 The hand-painted, parallax-scrolling backgrounds come to life with slight touches such as blinking lights and billowing smoke. 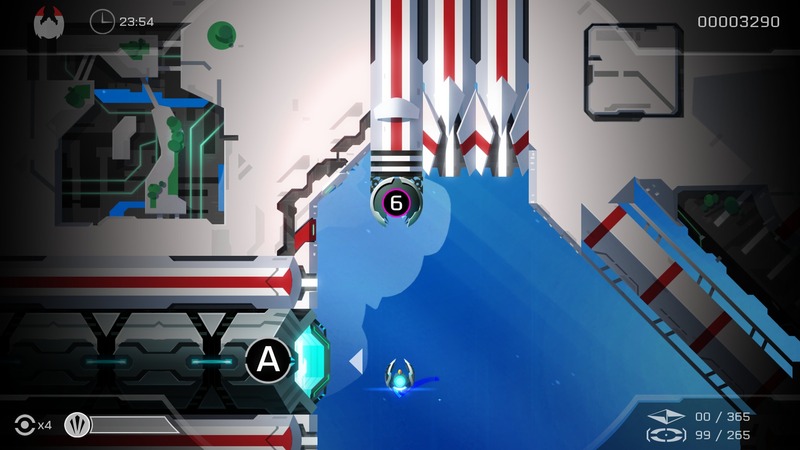 Environments are varied as you tour the galaxy, with lush, colorful stages making an appearance about halfway through the game. 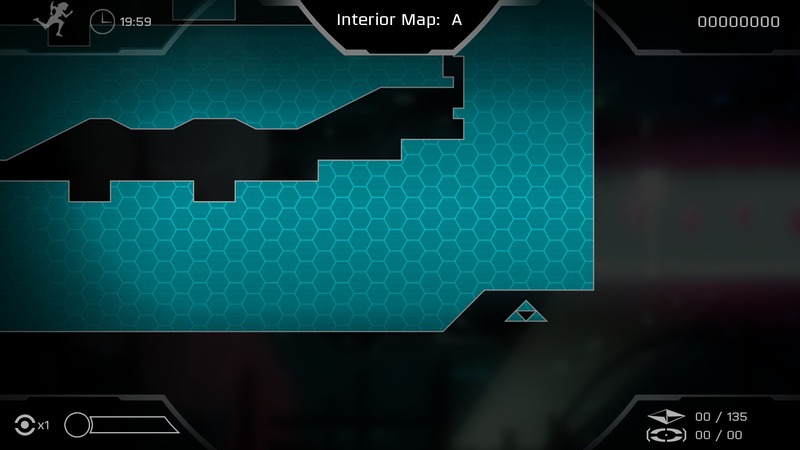 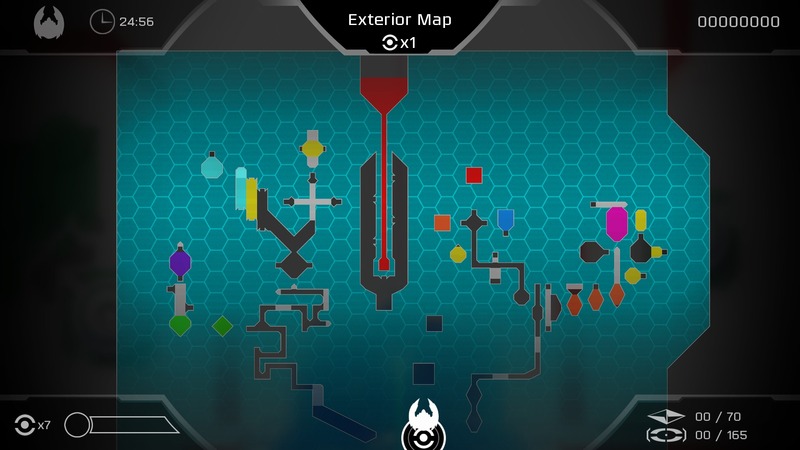 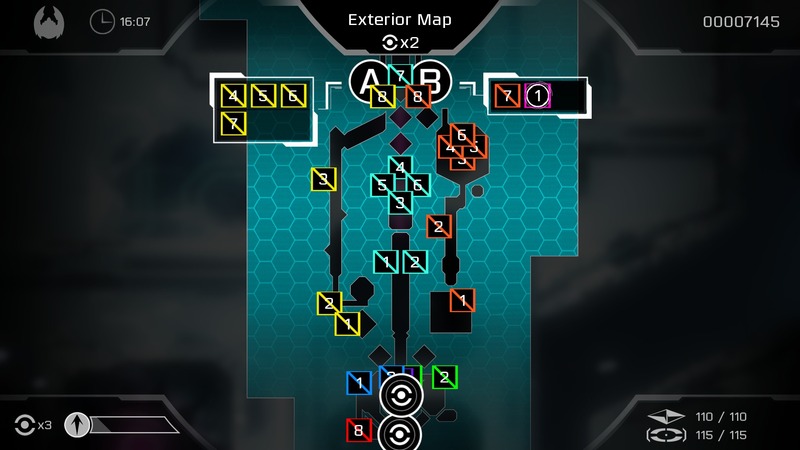 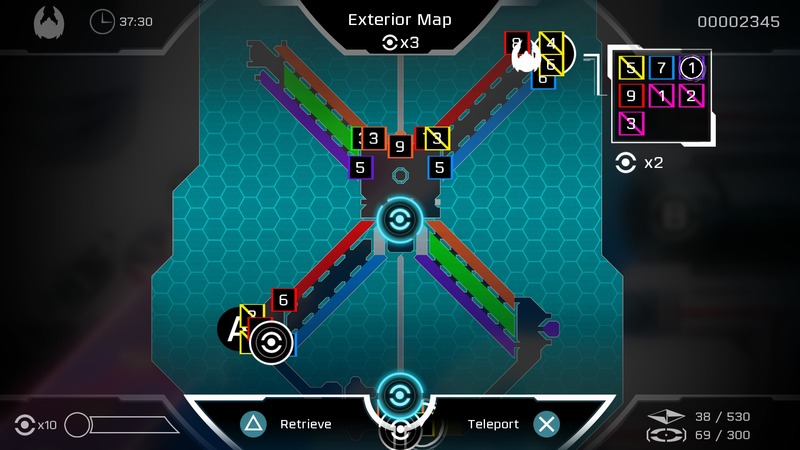 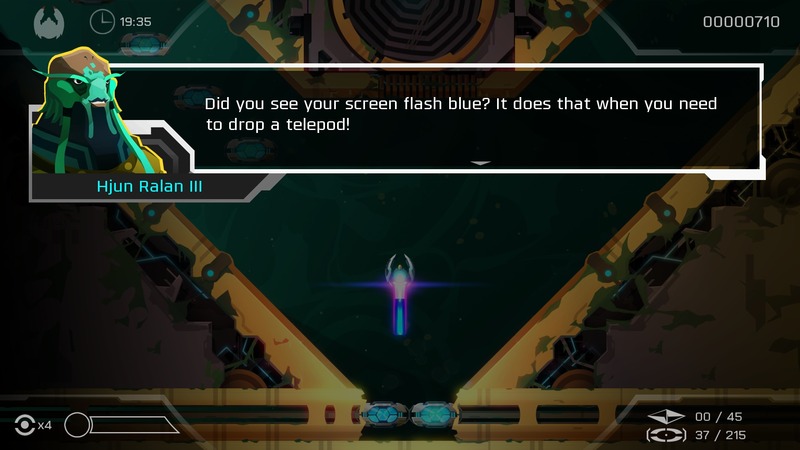 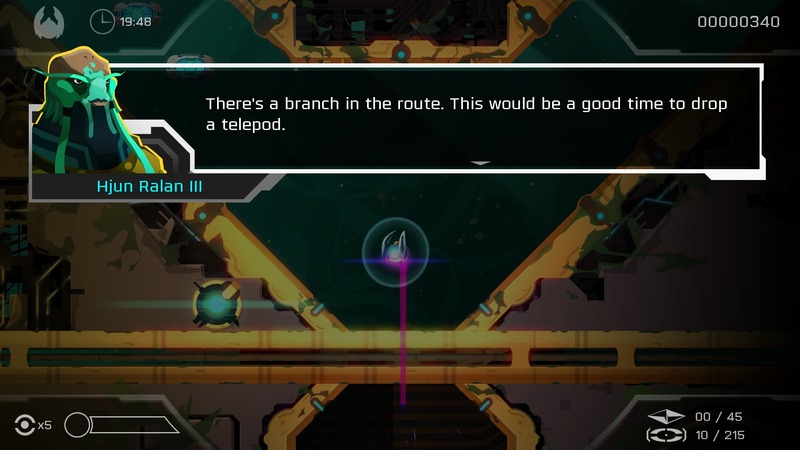 Visual and audio cues aid in hinting when to drop a telepod for LFT, and the map lends a helping hand when levels get too complex to memorize. 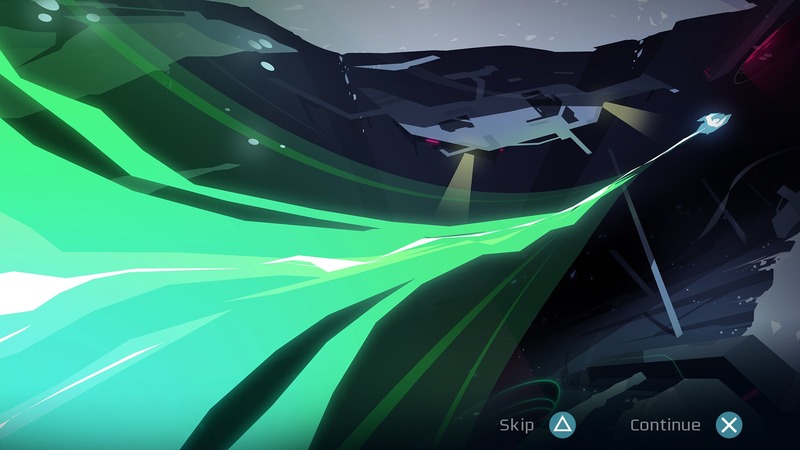 I especially like the ripples around your ship when The music and sound effects in Velocity 2X are outstanding. 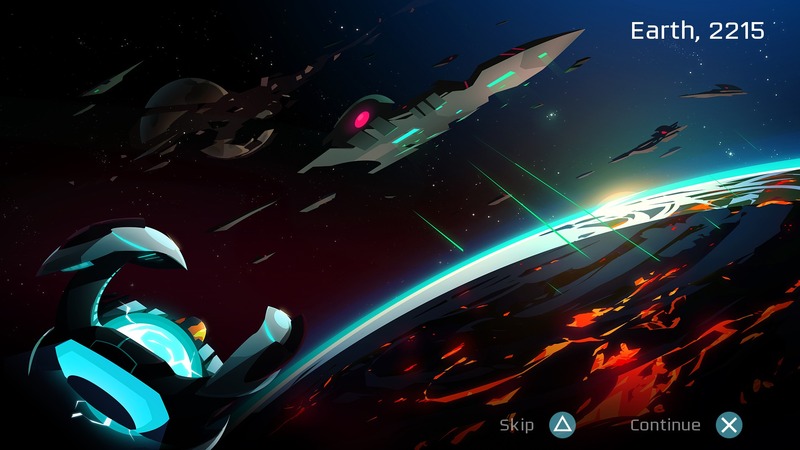 Composer Joris de Man of Killzone fame and Managing Director James Marsden knocked this soundtrack out of the park. 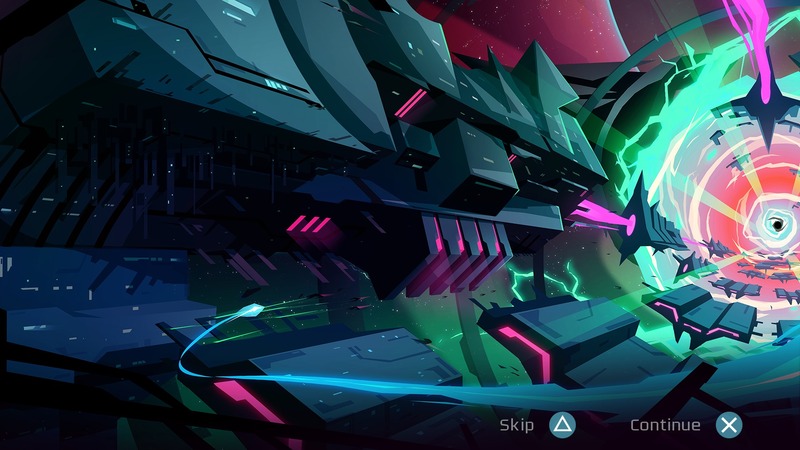 Older, familiar tracks are mixed with new tunes to create a spacely cyber dubstep chiptune tracklist. 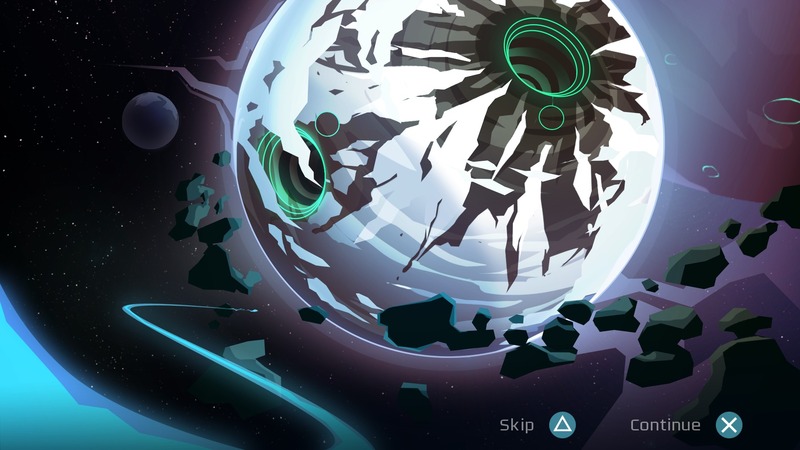 The soundtrack is available at most music storefronts. 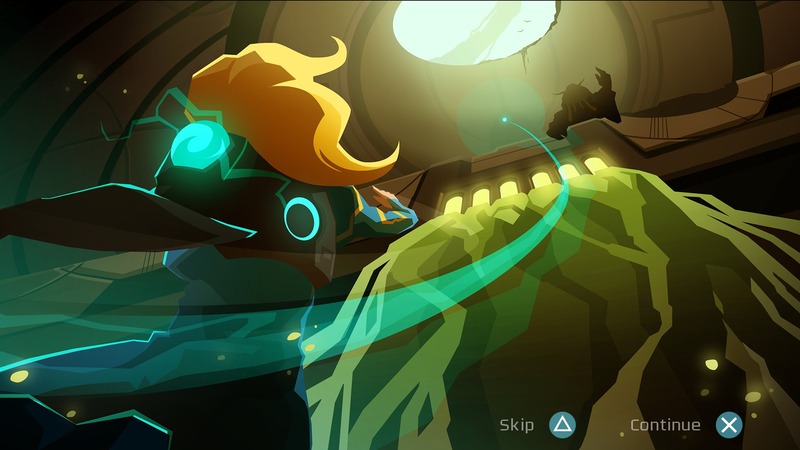 For a taste of the heart-rate-increasing critical urgency tracks, check out Futurlab’s SoundCloud page. 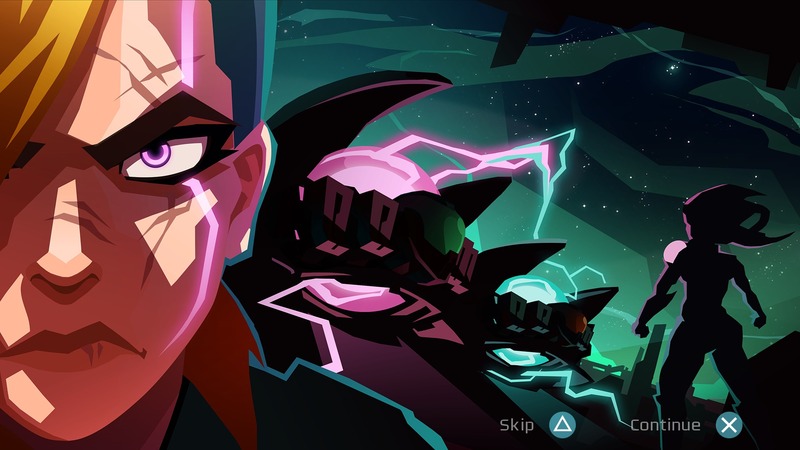 So far this year, the best PS4 games have been released by independent studios. 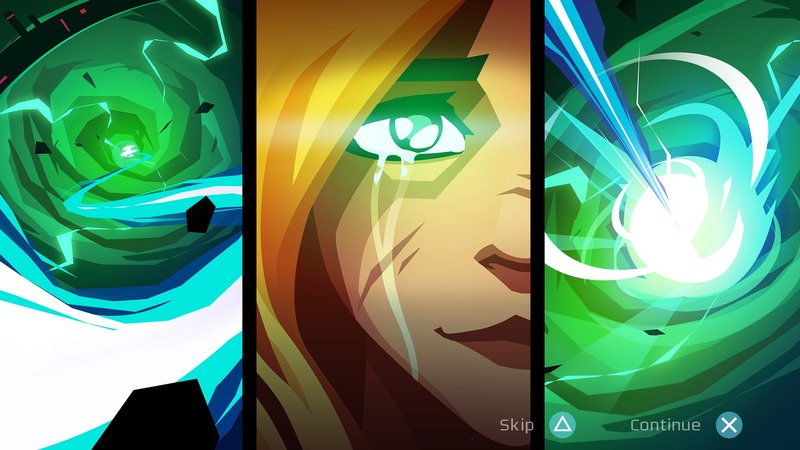 My personal GOTY race is a royal rumble between Guacamelee! 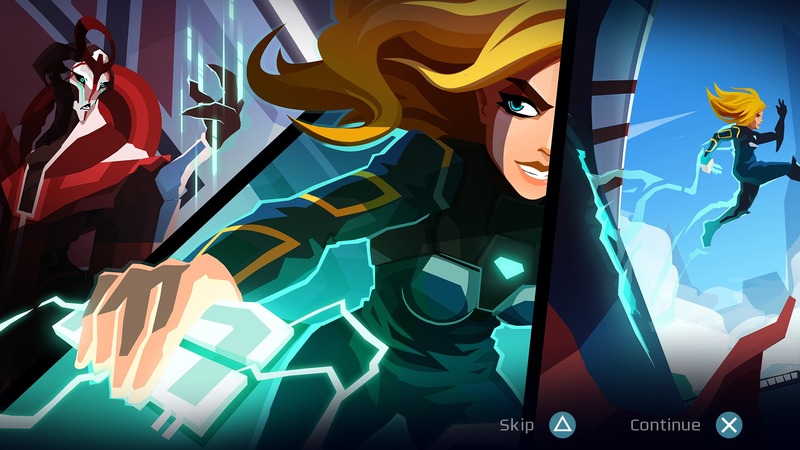 STCE, Sportsfriends, Towerfall: Ascension, and now Velocity 2X. 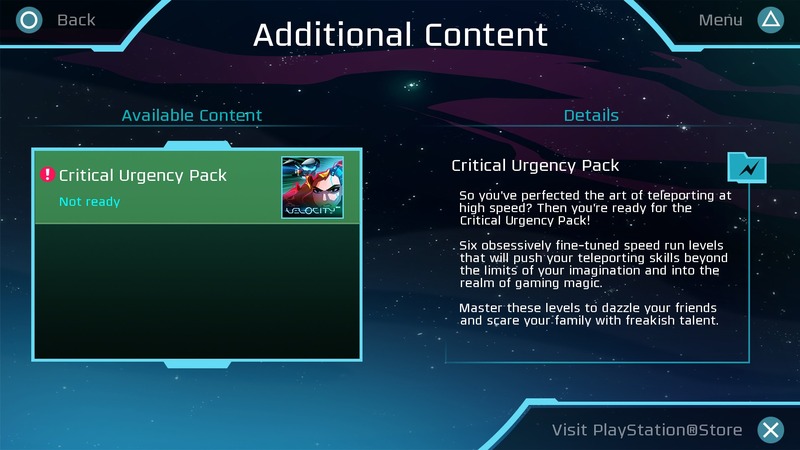 This is including disc-based, AAA, retail games. 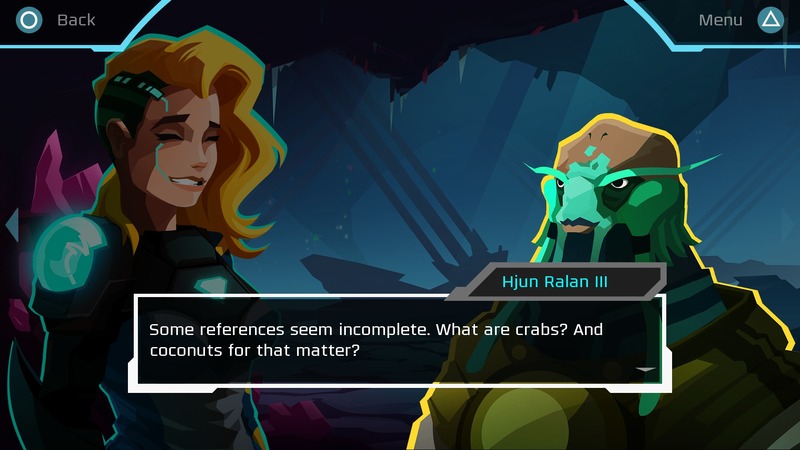 Futurlab have improved upon their already top-notch formula by mixing in platforming sections, weaving a competent story, revamping the graphics and audio, and designing over 50 stages of blissful gameplay. 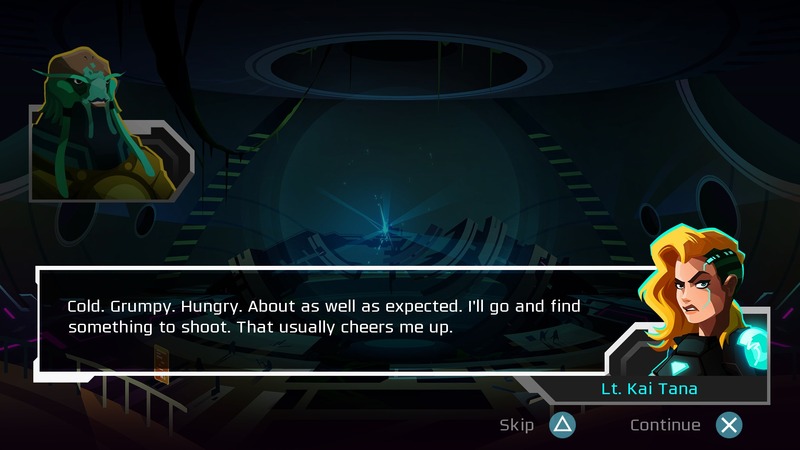 Nothing in the game feels tacked-on. 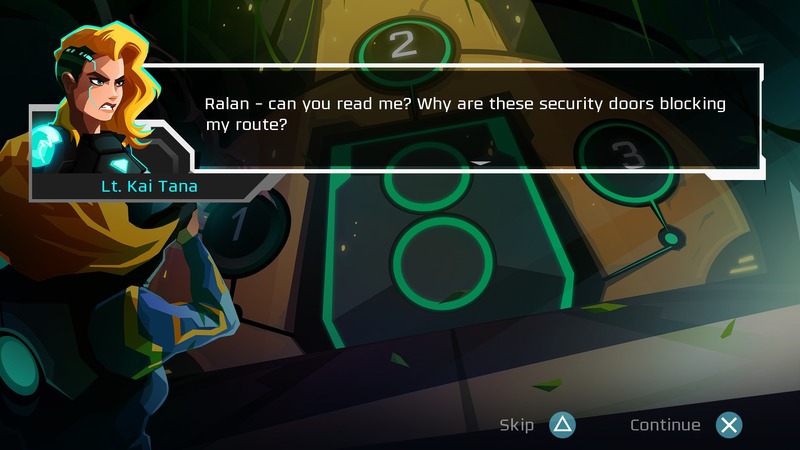 Some social features include direct PSN player challenging as well as score posting to Facebook. 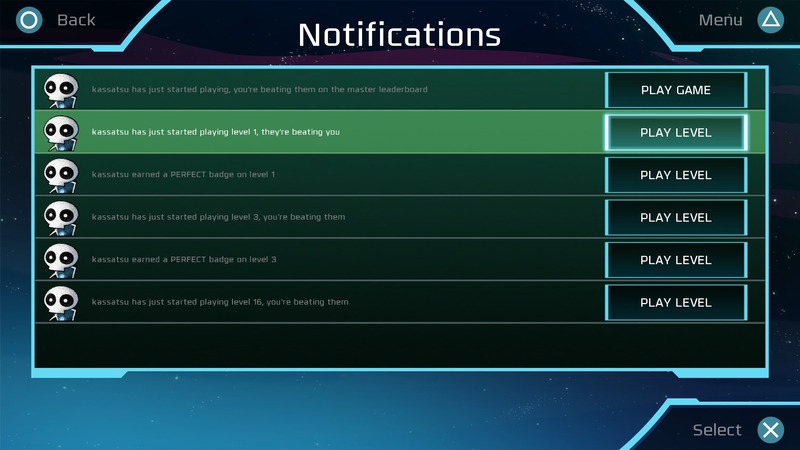 Once the game releases and more of my friends are playing, I expect my Notification Wall to populate with challenges. 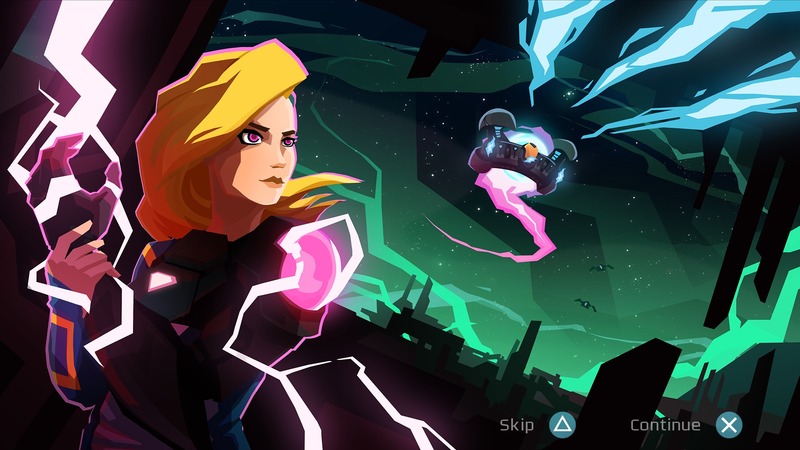 Online leaderboards, the constant quest for perfects, and a bevy of unlockables (including a neat, Portal-like mini-game) extend the replayability of Velocity 2X to impressive lengths. 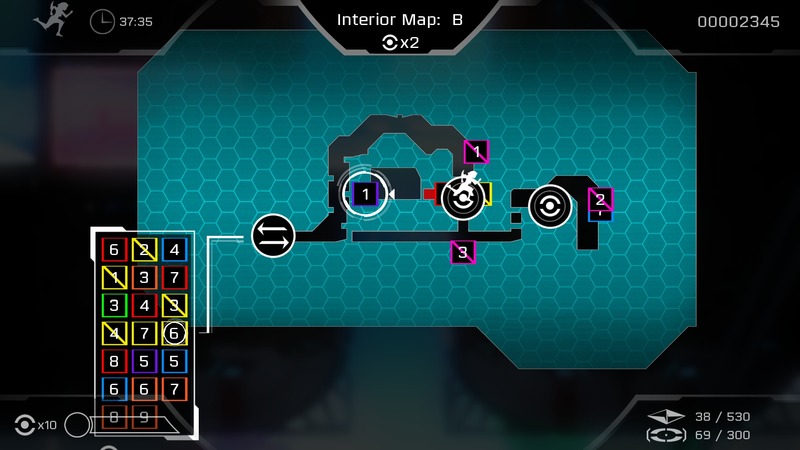 With the advent of Downloadable Content, I’m sure I’ll be playing this game for quite some time. 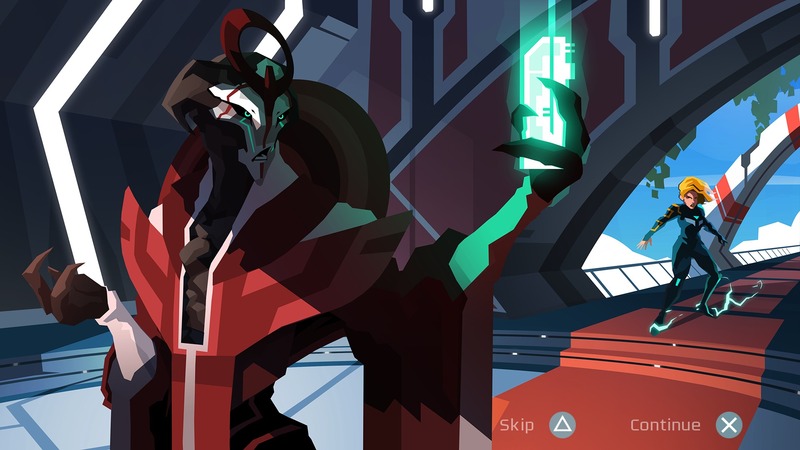 Challenge me if you dare!